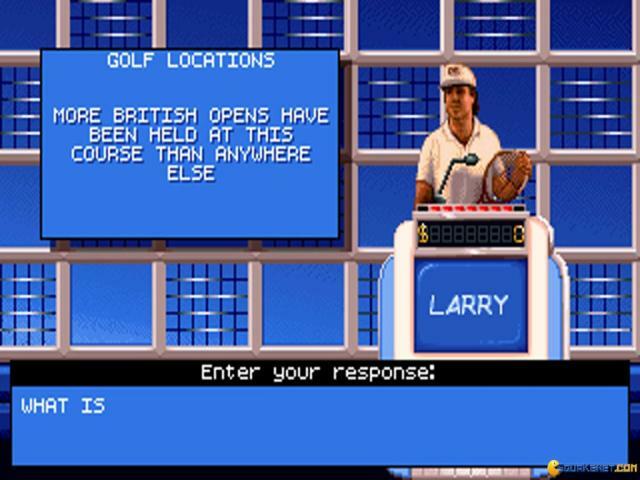 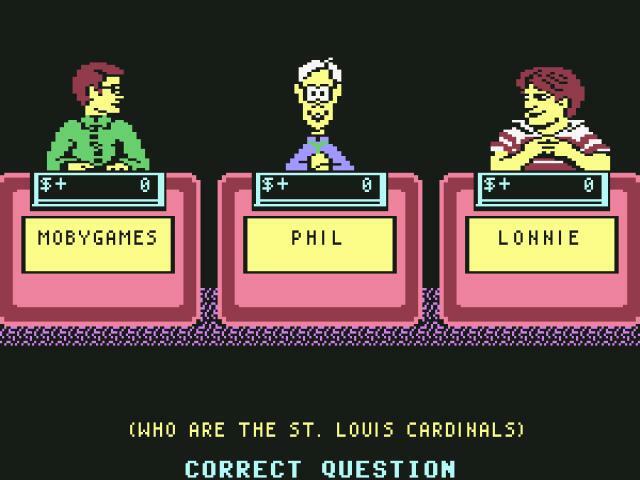 For retro-loving sports quiz fans with an unusual knowledge of 1980s trivia, this makes for the perfect challenge, offering as it does plenty of testing questions in the form of quiz show-style experience. 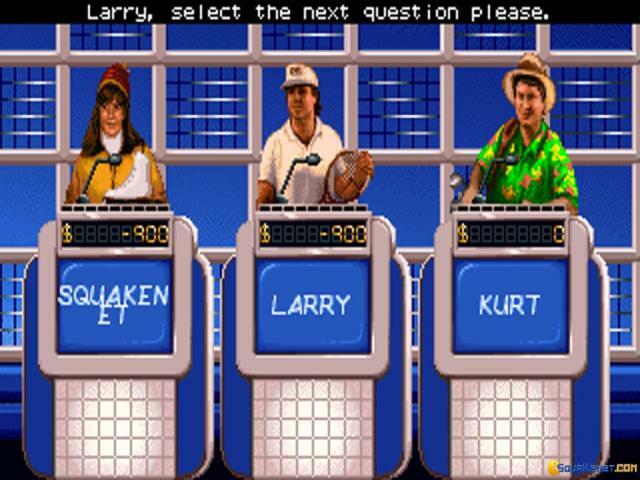 It is of course based on the classic TV series where three contestants face off against one another in a bid to win the most money (virtual cash does slightly reduce the thrill unfortunately). 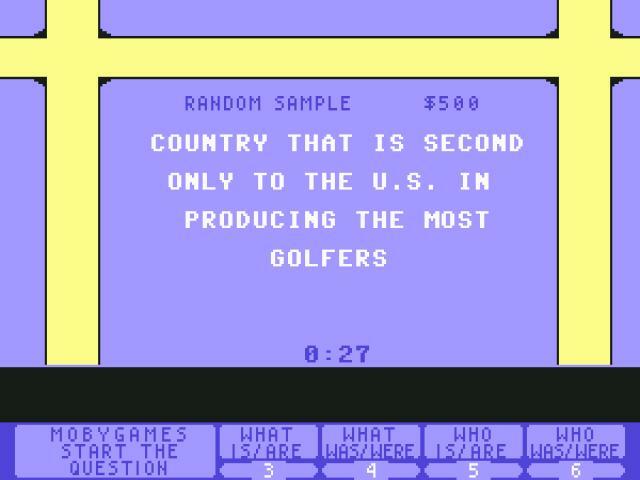 This is achieved by choosing a category, all sports-related here of course, each with prize amounts varying according to their difficulty and then attempting to come up with the question, rather than the answer as is usually the case. 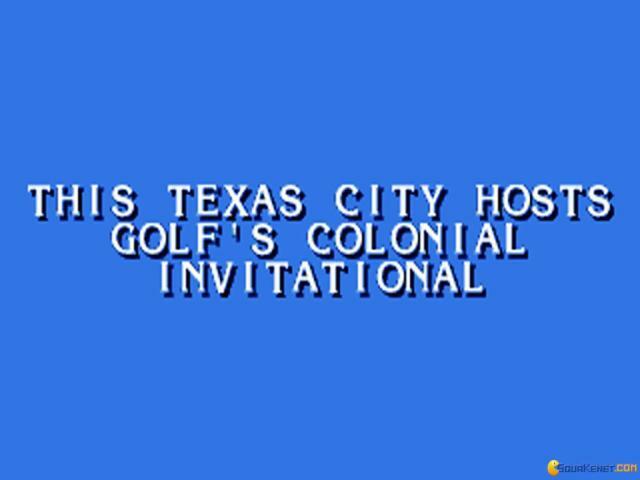 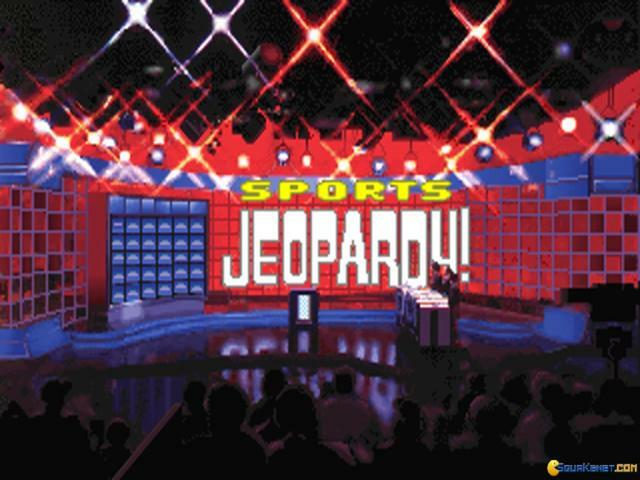 Categories here include the likes of team names, hockey facts and sports awards, so if you feel you are an expert in this kind of thing, with a focus on the 1980s, then this should be right up your alley. 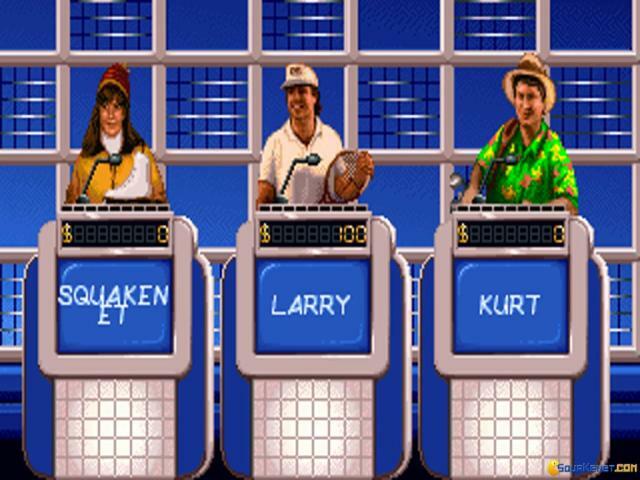 It's all represented in suitably over-the-top game show style, with some nice depictions for the various opponents, who mostly look like the kind of dodgy characters who would have appeared on the show in the 80s, complete with geeky glasses, hairstyles and some truly spectacular outfits. 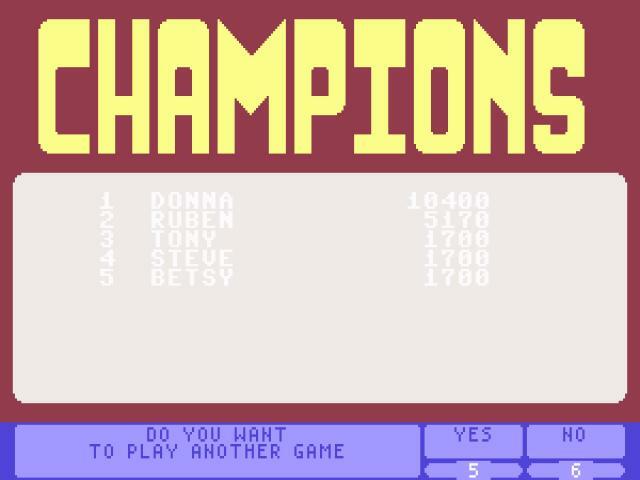 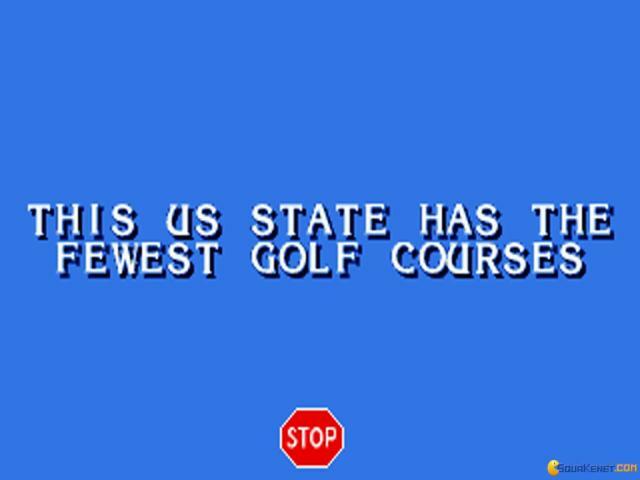 The questions themselves are quite varied and extensive, so the game offers at least a decent amount of replay value, providing the content holds your interest and of course it's a lot more fun if you can drag some other human players in for a much more competitive experience. 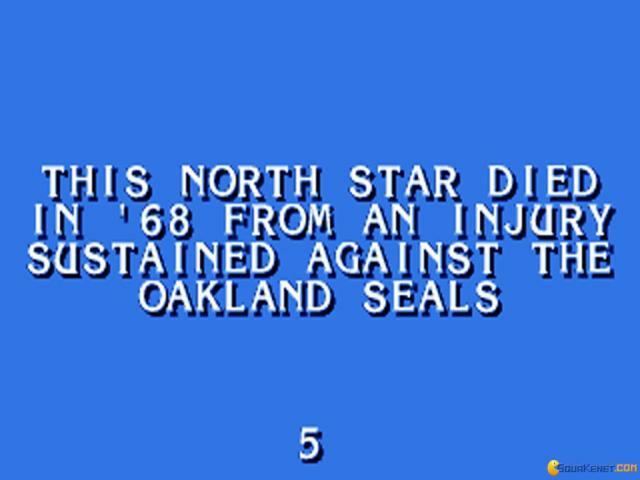 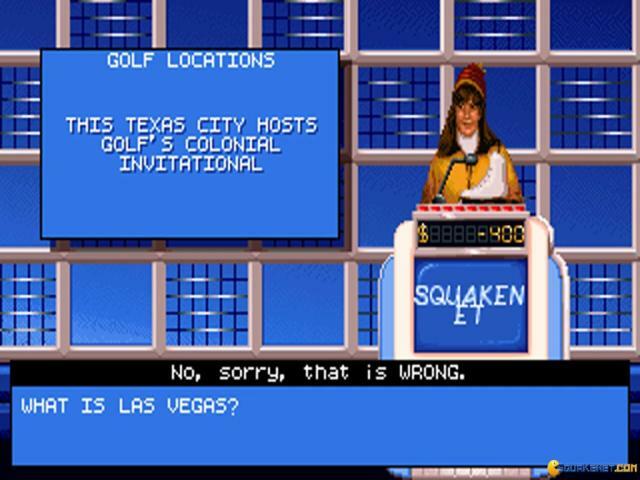 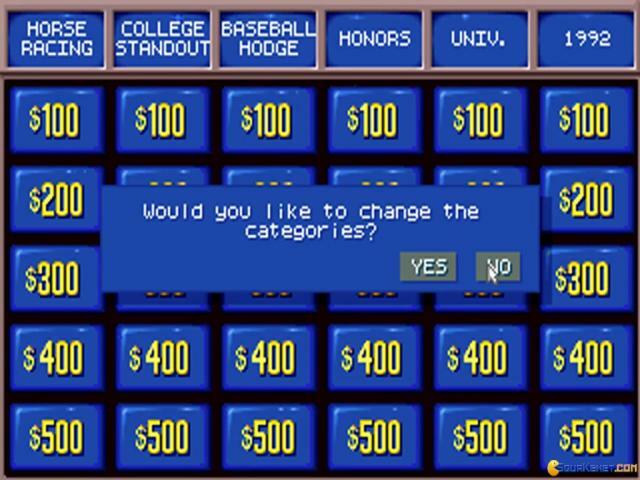 If you're looking for an undemanding sports-themed quiz game, this fills the gap nicely but if you're after something a little less specialised, take a look at the various Wheel of Fortune quiz games on the market or even just a standard version of Jeopardy.